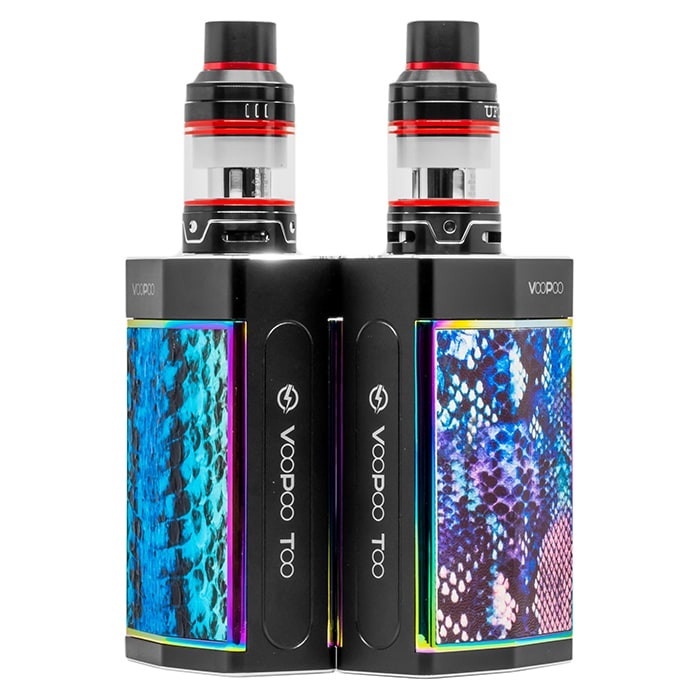 The Voopoo Too Kit supports single and dual compatible mode, which gives the customer a choice to select. Zinc alloy, aluminum alloy and PU material. The kit contains two battery compartments in the front and the back, you can choose to run a single battery or as adual battery!